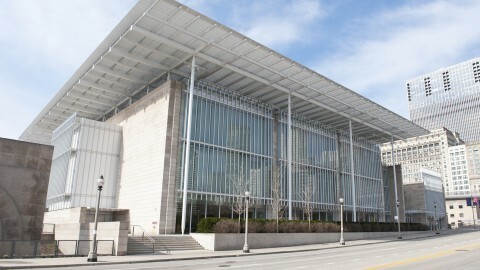 The Art Institute of Chicago is an architectural artifact that represents Chicago’s rich history of educating young artists and serves as a reminder of the World’s Columbian Exposition of 1893. While it bears the marks of historic Beaux Arts architecture, today it sits as a house of contemporary scholarship of art across the globe. 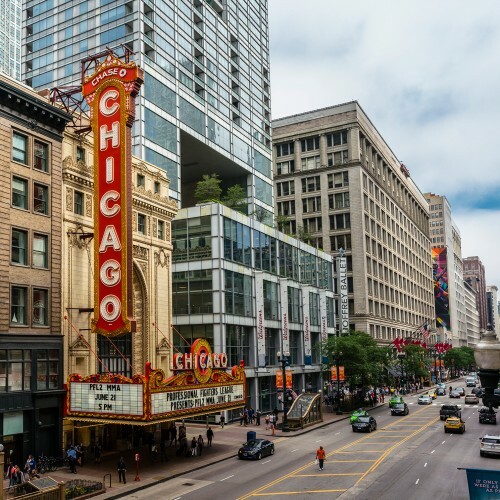 There have been eight additions to the Art Institute since the original structure was completed in 1893. 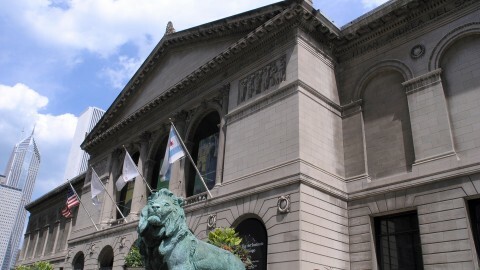 In 2014, TripAdvisor ranked the Art Institute as the No. 1 Museum in the World. Just below the cornice is a series of artist’s names to symbolize the purpose of the building. At the time of construction, the Art Institute had yet to procure a piece by any of these artists. 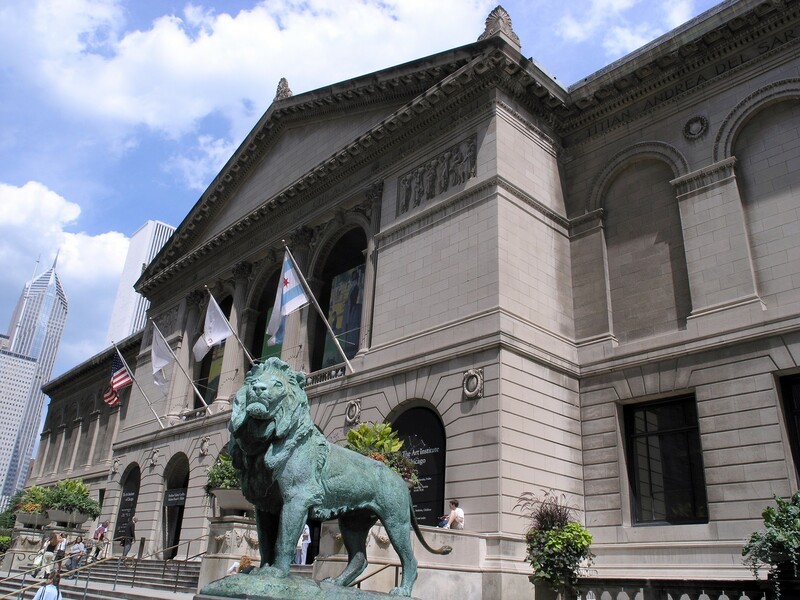 The Art Institute’s two iconic lions are named “On the Prowl” (north) and “In the Attitude of Defiance” (south). The World’s Columbian Exposition of 1893 was a celebration of the 400th anniversary of Christopher Columbus’ arrival in North America. But many in Chicago saw it as a coming-out party for the city. They were thrilled to host the exposition as a way of displaying the city's triumphant rebirth after the Great Chicago Fire 1871. 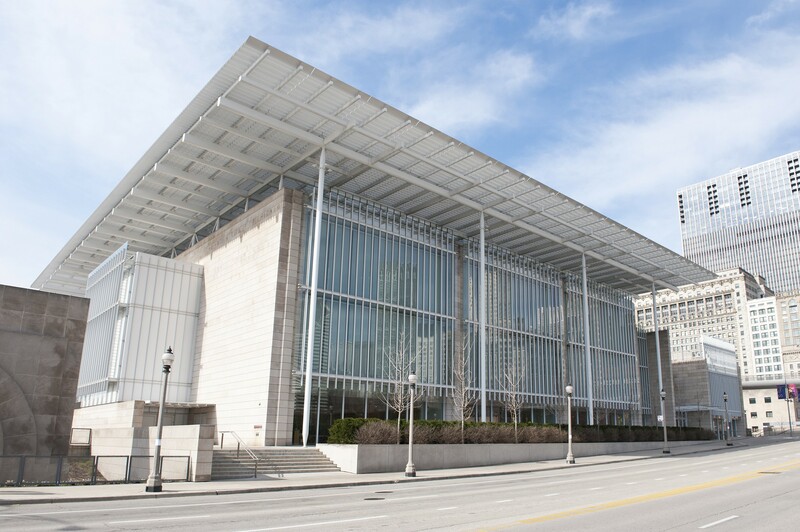 The Art Institute is a unique example of a collaboration between the trustees of the Art Institute and the fair committee, which put up close to one-third of the cost in exchange for its use for the duration of the Fair. From May through October 1893, it was utilized as an auxiliary building that housed the popular international assemblies and conferences. 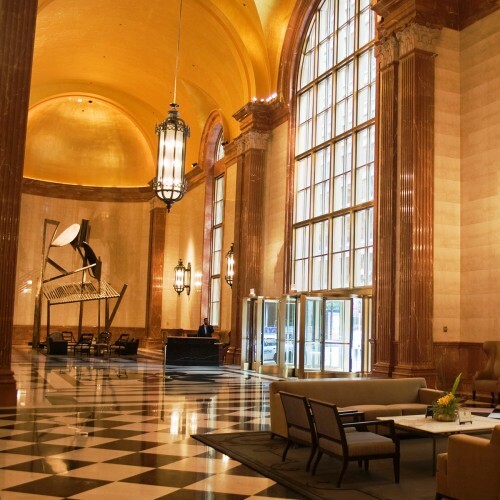 In November, interior conversions began and a members’ reception was held on December 8 to christen the new location of the Art Institute, whose expanding art collection had outgrown its previous location. Like most of the large, prominent buildings in the White City, it was designed in the Beaux Arts style, which Burnham preferred. 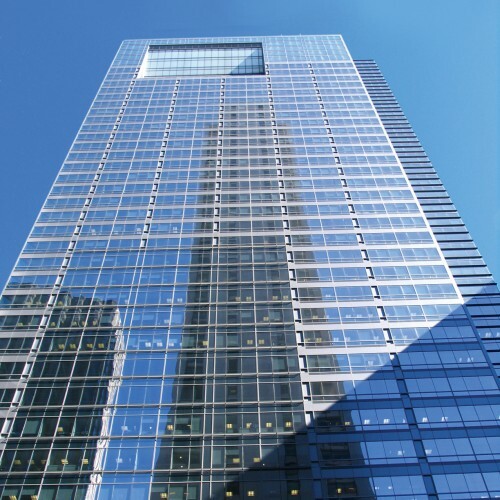 Its masonry load-bearing walls are clad in limestone and the building’s two-story central portico is flanked by perfectly symmetrical, identical wings. The influence of ancient Greece and Rome can be felt in the ornamentation, which includes Corinthian columns, friezes copied from the Parthenon, a triangular pediment with acroteria and statues of goddesses on both the northern and southern facades. Docents enjoy pointing out the classic triangular pediment at the top of the building, as well as the list of artists carved beneath ‒ perhaps the city’s first gift registry. Inside, find famous art as well as a gift shop. Outside, check if the lions are decked out in their frequent Chicago sports team attire. Don’t worry, they don’t bite … but they do communicate. Follow them on Twitter: @ChicagoLions. The original Beaux Arts building designed by the Boston architecture firm of Shepley, Rutan & Coolidge has been augmented by eight additional buildings to accommodate the Art Institute’s ever-growing collections, which now include close to 300,000 works of art. 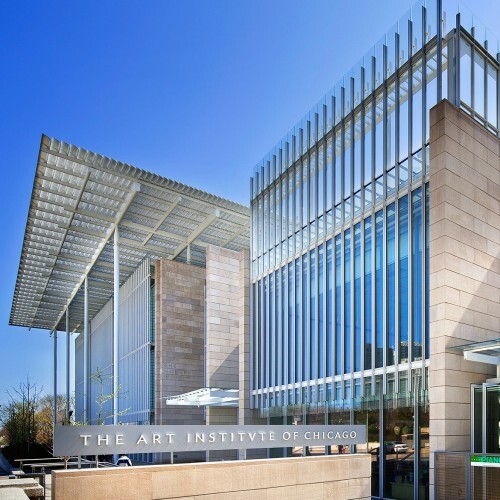 The latest building addition in 2009, Renzo Piano's Modern Wing, increased gallery space by 30 percent, adding an additional 264,000 square feet. 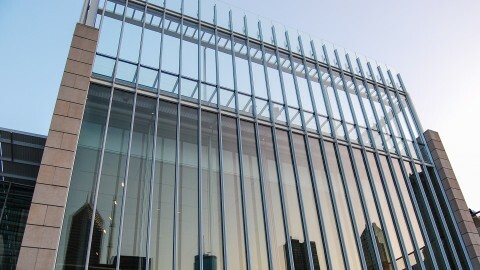 The addition reflects 21st-century technology and concerns in its respect for context and its own environmental impact. 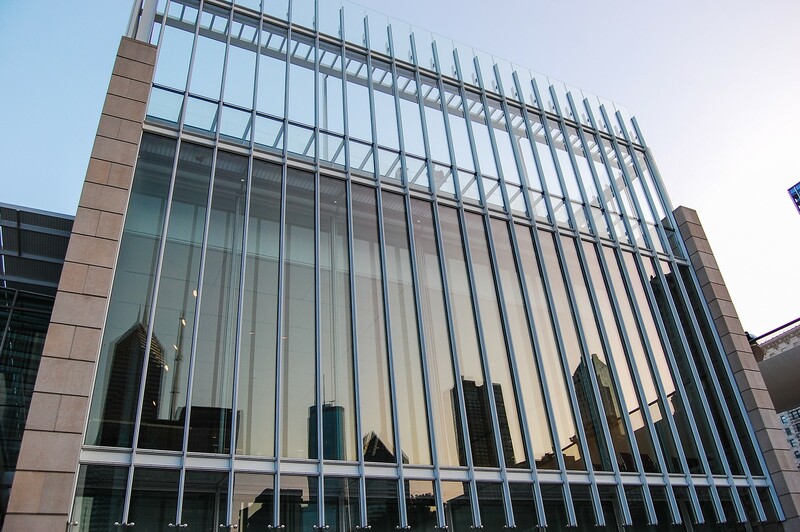 The addition’s east and west facades pay homage to the original structure with limestone exteriors, while the north-facing glass wall allows for complete views of Millennium Park.